You already know that if you choose to eat a healthy diet, you’re more likely to live a longer, more active life than someone who fills up on unhealthy foods. However, researchers now think that what we eat has an even bigger effect on the disease process than we may have thought. That’s because, in recent years, scientists have connected a condition called “chronic inflammation” with some of our most common and deadly diseases, including heart disease, stroke, cancer, Alzheimer’s disease and more as well as difficult and painful conditions like rheumatoid arthritis and irritable bowel syndrome (IBS). They’ve also connected chronic inflammation, in part, with our diet, finding that in some cases, what we eat can influence how much unhealthy inflammation we have going on inside us. We can use this knowledge to avoid foods that stimulate chronic inflammation and choose foods that we know can help quiet it down. Chronic inflammation is a malfunction of the immune system that creates damage inside the body. When things are normal, the immune system works as your personal bodyguard. It protects you from germs, fights off illnesses, and helps heal cuts and scrapes. Whenever it senses something that can injure you, it calls together various cells and hormones that work to fix the problem. Inflammation is a key component in the immune system’s process of healing. You see it in the redness and swelling that forms around a cut on your finger. That’s a sign that the immune system’s cells are gathering to rebuild and repair injured tissues. You see the same thing when a pimple forms on your face. The redness and swelling are the immune system’s response to the bacteria that invaded your skin, the cells working together to force out the damaging bugs. Most types of healthy inflammation are “acute,” or quick-acting. You hurt yourself, and they hurry in to solve the problem. Once the wound is healed, they relax, and the redness disappears. You develop a cold, and they hurry in, fight off the bacteria or the virus and make you well. Once the bugs are gone, the inflammatory process stops, and your symptoms disappear. Chronic inflammation is a different form of inflammation. Instead of solving problems for you, it causes them. Instead of rushing in to heal the cut and then relaxing once the tissues have returned to normal, it continues to cause swelling and redness and pain, and the wound doesn’t heal. Instead of doing its job and then going away, it hangs around like an unwanted guest, causing a low-level disturbance that wears down organs and tissues over time. It’s been called the “silent killer” and a “hidden time bomb” because it often doesn’t cause any symptoms but continues to operate under the radar for months and sometimes years. Because inflammation causes heat in the body, chronic inflammation has been called “the slow burn,” and can be thought of as a low-lying fire that gradually burns up cells and tissues and organs until the damage is irreversible. What Causes Chronic Inflammation to Appear? There may be other factors at work, too, that cause inflammation to stick around. The longer it burns, the more damage it creates. When inflammatory cells hang around in the bloodstream for too long, for example, they promote the buildup of plaque in the arteries. This plaque is a foreign material, so the immune system tries to fight that, too. Without significant changes, the plaque builds up, the arteries become stiff and inflexible, and the risk for a heart attack or stroke increases — all because that inflammation helped things along. Inflammation can cause problems in the brain too. Whereas scientists used to think that the blood-brain barrier protected the brain from these issues, they now know that inflammatory immune cells can get into the brain when it’s under stress. These cells likely go in with the intention of helping, but once there they can cause damage if they stay too long. In these and other ways, chronic inflammation leads to disease, pain, and complications, all of which are bad for your health. 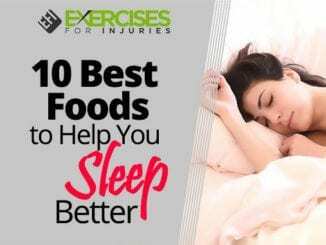 As we’ve learned more about inflammation and how it can cause unhealthy changes in the body, we’ve also learned that certain foods can “feed” chronic inflammation, like oxygen to a fire. 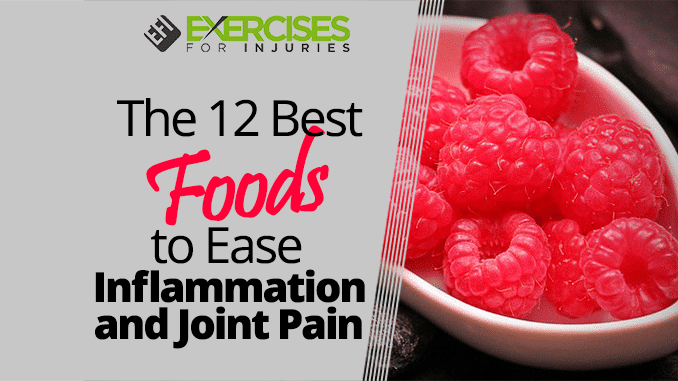 When we eat these foods, we create a situation inside the body that is more “inflammation friendly,” increasing the chances that the inflammation will stick around. Below are some of the most common foods that have been found in studies to promote inflammation. Some studies have linked sugar with inflammation. 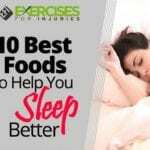 In 2014, for example, researchers compared fructose — the type of sugar typically found in soft drinks, sweets, candy, and even in regular foods like yogurt, bread, and condiments — with glucose, the body’s preferred energy source. The body turns carbohydrates into glucose for energy. Scientists already knew that fructose was more likely to be stored as fat than glucose and that it didn’t stimulate the release of insulin as well as glucose. Simply put, fructose is not as easy for the body to process as glucose is. But they wanted to find out how the two types affected inflammation, in particular. They gave participants either a drink containing 50 grams of fructose or 50 grams of glucose. They then collected blood samples and measured levels of CRP. They found that those who consumed the fructose had significantly higher levels of CRP than those consuming glucose and that their levels of LDL “bad” cholesterol also increased more. In another study, researchers found that fructose-induced inflammatory changes in cells. Fortunately, it seems that lowering fructose levels in the diet can help lower inflammation. Researchers tried it in patients with kidney disease and found that a low-fructose diet improved CRP levels, indicating lower inflammation, and also reduced blood pressure levels. Refined grains are whole grains that have been stripped of many of their healthy nutrients. They are processed to remove the bran and germ, to give the grain a finer texture and to improve shelf life. Important nutrients like fiber, iron, and B vitamins are lost in the process, resulting in a product that is less nutritious and possibly even damaging to health. Refined grains are used as white flour in a number of common food products you’ll find in the grocery store, including white bread. 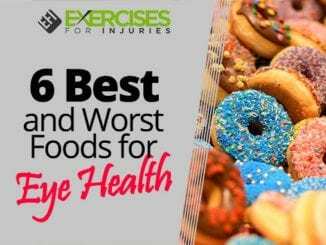 Studies have found that these types of grains are associated with inflammation. Foods with super unhealthy trans-fats have been directly connected with inflammation. In the Nurses’ Health Study, women with the highest intake of trans-fats had levels of CRP that were 73 percent higher than women with the lowest intake of trans-fats. Their interleukin-6 levels (another inflammation marker) were also 17 percent higher. “The association between trans fat consumption and inflammation is a reliable finding across a number of controlled trials and observational studies,” researchers noted in a 2010 study. Meals that are high in unhealthy saturated fats can also promote inflammation. Scientists have discovered that when you eat a high-fat meal, such as one you might get from a fast-food restaurant, it stimulates a rise in inflammatory toxins in the blood. In fact, researchers from UCLA discovered that a high-fat diet could lead to the same inflammation in the intestines as a virus! You may enjoy a hot dog once in a while at the baseball game but try not to make a habit of it. Studies have found that processed meats, in general, are likely to encourage inflammatory reactions in the body. Processed meat is meat that has been changed with salting, curing, fermentation, smoking, or other processes to enhance flavor and shelf life. These types of meats have been classified as carcinogens by the World Health Organization and have been linked in several studies to an increased risk of colon cancer. Some studies have also linked high intakes with stomach cancer. Scientists aren’t sure why these meats may increase the risk of cancer, but they believe that products used in processing (like nitrates and nitrites) are likely to be involved, as well as the tendency for these products to increase inflammation. Several studies have also linked the intake of red meat with inflammation, particularly with intestinal inflammation, but not all of these studies have shown consistent results. Those participants who were overweight, for example, or who had other risk factors seemed more likely to experience increased inflammation after eating red meat. In addition, it seems that it’s usually a “high consumption” of red meat that causes problems — those who eat it several times per week. Replacing just one portion of meat with fish or poultry, for example, lowered risk of an inflammatory bowel condition by 20 percent in one study. In addition to avoiding foods in the groups listed above, you can choose to add more of the following foods to your diet to tame any inflammation you may already have, and to prevent more from developing. 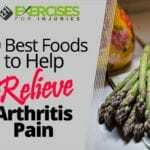 Particularly if you are already suffering from inflammation in some way — maybe you have arthritis, heart disease, psoriasis, or other similar inflammation-related conditions — consuming more of these foods may help you to feel better. Salmon and other types of fatty fish like anchovies, tuna, mackerel, sardines, and herring are all good sources of healthy omega-3 fatty acids, which are natural anti-inflammatories. Omega-3 fatty acids are so effective at taming inflammation that they were found to help reduce pain just as well as non-steroidal anti-inflammatory drugs (NSAIDS) like aspirin and ibuprofen in one 2006 study. Researchers gave patients who had neck or back pain 1,200 mg of fish oil per day for a month. At the end of the study, they found that 59 percent of the patients felt so much better that they stopped taking their prescription pain medications. Meanwhile, they suffered from no significant side effects. Whole grains are related to lower levels of inflammation. In one 2006 study, researchers found that healthy men and women who consumed whole grains showed no increases in inflammation, and also had reduced levels of total cholesterol. Several other studies have shown similar results — that whole grains are related to reduced levels of inflammation, or at the very least, don’t increase inflammation. 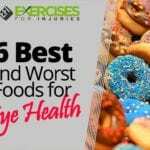 Exceptions may occur, however, in people who have celiac disease and can’t digest wheat, or in those who have sensitivities to certain types of grains. In this population, consuming whole grains may cause inflammation and intestinal damage. Sports researchers discovered several years ago that tart cherries have amazing anti-inflammatory properties. They found that when women aged 40 to 70 who had inflammatory osteoarthritis drank tart cherry juice twice daily for three weeks, they experienced significant reductions in inflammatory markers in their blood. 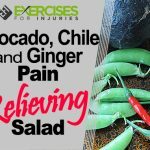 The fruit is so effective that Leslie Bonci, Director of Sports Nutrition at the University of Pennsylvania Medical Center for Sports Medicine, has incorporated them into her training menu for her professional athletes as a natural way to manage pain. Green tea contains a lot of powerful antioxidants that are beneficial for health. One of those antioxidants, called “epigallocatechin (EGC),” is effective at taming inflammation, too. Researchers studied postmenopausal women and found that green tea was helpful in reducing inflammation, which also helped the women avoid bone loss. In another study, they determined that both green and black tea “possessed a marked anti-inflammatory effect,” with green tea being even more active than black tea. Researchers thought this might be because green tea is processed to contain more healthful flavonoids than black tea. A number of other studies have shown similar results, with green tea having a beneficial effect on inflammation. Avocados have the unique capability of suppressing two chemicals that cause inflammation in the body: nitric oxide synthase (INOS) and cyclooxygenase (COX-2). According to a study published in 2000, Avocado has a constituent called “persenone A,” that has been found to have anti-cancer and anti-inflammatory properties. Avocadoes also contain healthy fats that have been linked with lowered cholesterol levels. Pineapples contain an enzyme called “bromelain” that not only assists in digestion but has also demonstrated anti-inflammatory properties. Most studies so far have been conducted in animals, but they show promising results. In 2010, for example, researchers reported that subjects who regularly consumed fresh pineapple juice showed decreased colon inflammation scores and other markers of reduced inflammation. Researchers suggested that long-term supplementation with fresh or unpasteurized frozen pineapple juice with active bromelain enzymes may help reduce the severity of inflammatory bowel disease (IBD). In a 2012 study, researchers also noted that bromelain has many benefits, including the ability to help relieve osteoarthritis pain. Onions are also rich sources of antioxidants and flavonoids that help inhibit inflammation-causing compounds that are typically active in arthritis. Both onions and garlic also contain organosulfur compounds that help prevent the formation of pro-inflammatory messengers. Spinach contains health-supportive nutrients called “glycoglycerolipids” that have been found in studies to help protect the digestive tract from damaging inflammation. These nutrients are present in the membranes of plants, where they are involved in the process of photosynthesis. They may also help protect humans from inflammatory disease. Spinach is a really good source of anti-inflammatory omega-3 fatty acids, selenium, pantothenic acid, and other healthful flavonoids too, including lutein and zeaxanthin. All of these work together to keep inflammation at bay. In fact, these green leaves are often highly recommended for those with arthritis, because they can fight pain and inflammation. Other studies have shown that broccoli florets exerted potent anti-inflammatory effects, and in a study of more than 1,000 women, researchers found that those who ate the most cruciferous vegetables had substantially less inflammation than those who ate the least. “Cruciferous vegetables may have health benefits through modulating inflammation,” said senior author Dr. Gong Yang. Other good options in this category include bok choy, cabbage, and kale. You’ve probably heard that berries are rich in healthful antioxidants. These antioxidants, in addition to protecting from cancer and other diseases, have powerful anti-inflammatory properties. Studies have found that flavonoids like anthocyanin, for example — which is responsible for the blue, purple, and red color seen in fruits — are particularly potent as anti-inflammatories. Flavonoids are concentrated in the skin and peel of the fruit and help protect the cells in the body from inflammatory damage. Other good options include cranberries, goji berries, and blackberries. In general, go for one cup as a standard serving. Many of the spices we regularly use to flavor foods have healthful benefits, but some have been found to be particularly powerful against inflammation. Turmeric, the main spice in curry, is one of the most effective and well researched. Capsaicin is already used in many topical creams and ointments to help relieve muscle and joint pain. One capsaicin patch, for instance, helps provide pain relief for up to 12 weeks. Other studies have found that capsaicin may be effective in helping to relieve a stuffy nose, because of its ability to tame sinus inflammation. In fact, chile peppers are so healthful that in a 2015 study of nearly half a million people, researchers reported that those who ate spicy foods more than once a week — generally in the form of chile peppers — had a reduced risk of mortality over those who ate them fewer than once a week. Paul DiCorleto, “Why You Should Pay Attention to Chronic Inflammation,” Cleveland Clinic, October 14, 2014, https://health.clevelandclinic.org/2014/10/why-you-should-pay-attention-to-chronic-inflammation/. Prasad S., Aggarwal BB, “Chronic Diseases Caused by Chronic Inflammation Require Chronic Treatment: Anti-Inflammatory Role of Dietary Spices,” J Clin Cell Immunol., 5:238, https://www.omicsonline.org/open-access/chronic-diseases-caused-by-chronic-inflammation-require-chronic-treatment-2155-9899.1000238.php?aid=28021. Giugliano D, et al., “The effects of diet on inflammation: emphasis on the metabolic syndrome,” J Am Coll Cardiol., August 15, 2006; 48(4):677-85, https://www.ncbi.nlm.nih.gov/pubmed/16904534. Janice K. Kiecolt-Glaser, “Stress, Food, and Inflammation: Psychoneuroimmunology and Nutrition at the Cutting Edge,” Psychosom Med., May 2010: 72(4):365-369, https://www.ncbi.nlm.nih.gov/pmc/articles/PMC2868080/. Faizan Jamell, et al., “Acute effects of feeding fructose, glucose, and sucrose on blood lipid levels and systemic inflammation,” Lipids Health Dis., 2014: 13:195, https://www.ncbi.nlm.nih.gov/pmc/articles/PMC4290803/. Olena Glushakova, et al., “Fructose Induces the Inflammatory Molecule ICAM-1 in Endothelial Cells,” J Am Soc Nephrol., September 2008; 19(9):1712-1720, https://www.ncbi.nlm.nih.gov/pmc/articles/PMC2518440/. Andrzej Brymora, et al., “Low-fructose diet lowers blood pressure and inflammation in patients with chronic kidney disease,” Nephrol Dial Transplant, 2012; 27(2):608-612, https://academic.oup.com/ndt/article/27/2/608/1922518/Low-fructose-diet-lowers-blood-pressure-and. Rachel C. Masters, et al., “Whole and Refined Grain Intakes Are Related to Inflammatory Protein Concentrations in Human Plasma,” J Nutr., March 2010; 140(3):587-594, https://www.ncbi.nlm.nih.gov/pmc/articles/PMC2821887/. Jensen MK, et al., “Whole grains, bran, and germ in relation to homocysteine and markers of glycemic control, lipids, and inflammation 1,” Am J Clin Nutr., February 2006; 83(2):275-83, https://www.ncbi.nlm.nih.gov/pubmed/16469984. Sarah C. P. Williams, “High-fat diet leads to same intestinal inflammation as a virus,” UCLA Research Alert, June 21, 2017, http://newsroom.ucla.edu/releases/high-fat-diet-leads-to-same-intestinal-inflammation-as-a-virus. Weiwen Chai, et al., “Dietary Red and Processed Meat Intake and Markers of Adiposity and Inflammation: the Multiethnic Cohort Study,” Journal of the American College of Nutrition, June 19, 2017; 36(5):378-385, http://www.tandfonline.com/doi/full/10.1080/07315724.2017.1318317. Will Chu, “High red meat intake a risk factor for an inflamed gut: Harvard study,” Food Navigator, June 12, 2017, http://www.foodnavigator.com/Science/High-red-meat-intake-a-risk-factor-for-an-inflamed-gut-Harvard-study. Jaime L., et al., “Extraction of functional ingredients from spinach (Spinacia oleracea L.) using liquid solvent and supercritical CO2 extraction,” J Sci Food Agric., March 15, 2015; 95(4):722-9, https://www.ncbi.nlm.nih.gov/pubmed/24930815. Prasad S., Aggarwal BB, “Chronic Diseases Caused by Chronic Inflammation Require Chronic Treatment: Anti-Inflammatory Role of Dietary Spices,” J Clin Cell Immunol., July 25, 2014; 5:238, https://www.omicsonline.org/open-access/chronic-diseases-caused-by-chronic-inflammation-require-chronic-treatment-2155-9899.1000238.php?aid=28021. Kim CS, et al., “Capsaicin exhibits anti-inflammatory property by inhibiting IkB-a degradation in LPS-stimulated peritoneal macrophages,” Cell Signal. March 2003; 15(3):299-306, https://www.ncbi.nlm.nih.gov/pubmed/12531428. Jun Lv, et al., “Consumption of spicy foods and total and cause specific mortality: population based cohort study,” BMJ, 2015;351, http://www.bmj.com/content/351/bmj.h3942.